Recently I’ve been reading a version of the Bible called “The Message.” I like to read through this version of the Scriptures every couple of years because of the fresh way it presents classic ideas. Today I read something about prayer that made me stop, pull out my pen, do some underlining, and make some notes! “…when you come before God, don’t turn that into a theatrical production either. All these people making a regular show out of their prayers, hoping for stardom! Do you think God sits in a box seat? “Here’s what I want you to do: Find a quiet, secluded place so you won’t be tempted to role-play before God. Just be there as simply and honestly as you can manage. The focus will shift from you to God, and you will begin to sense his grace. As a public speaker in general, and preacher in particular, it is easy to turn prayer into a demonstration of oratorical ability. God doesn’t care how eloquent I am. Besides that, even if I were a master orator… I’d be competing against every other prayer He hears… and I’m pretty sure there are lots of people with bigger vocabularies and more engaging presentations than me! In other words, if prayer is a performance… I’d get lost in the shuffle of great performers. Be alone and genuine before God! Say what you feel, think, believe, hope, dream, etc. THAT’S WHAT GOD WANTS TO HEAR! He’s not impressed with your big words and fake passion any more than He is impressed with artificial tears and trumped up faith. He wants you to be real… honest… just you! Alone… honest… just me and God. I can do that… and you can too! 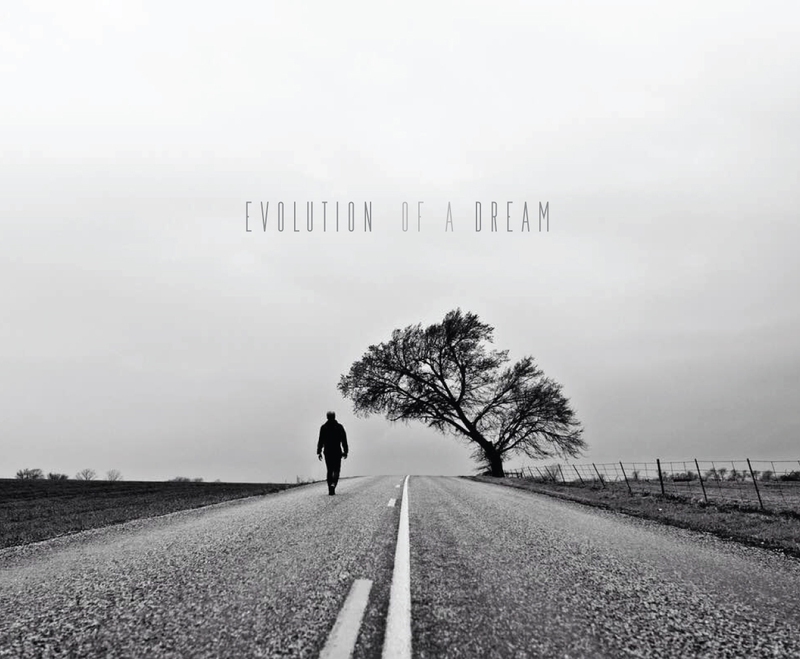 Starting this weekend at Church180 we are going to learn how dreams go from beginning to end… and what happens in between! I’d bet that at some point in your life you had a dream… a vision of what you wanted to be or do. But somewhere along the line your dream met reality. Then you made a decision… to stop dreaming or to start moving. We are going to learn some lessons from the life of a man named Joseph (sometimes referred to as “The Prince of Egypt”) that will help all of us as we move towards making the dream a reality! 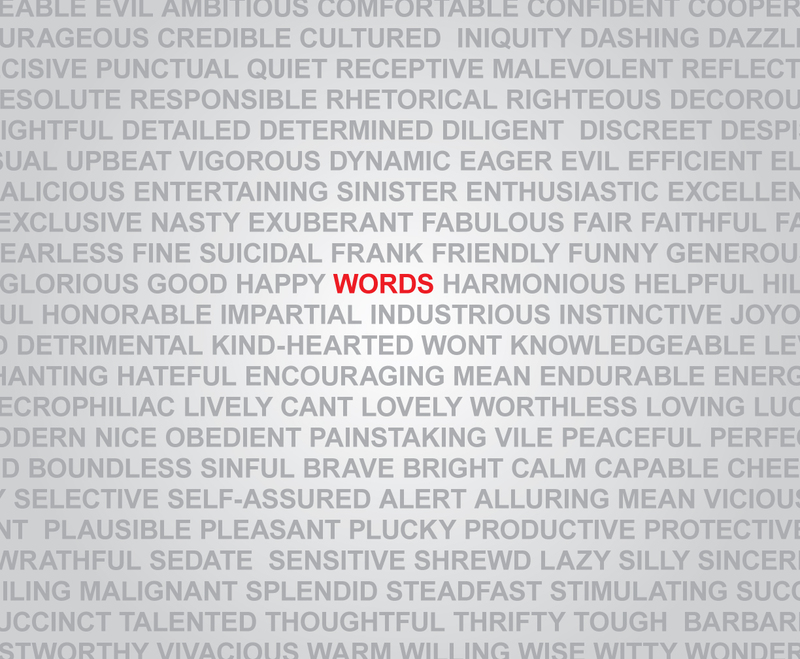 This coming weekend at Church180 we are starting a four week conversation about words. “The tongue has the power of life and death, and those who love it will eat its fruit” (Proverbs 18:21 NIV). Other people’s words to you. Your words to other people. If you have been impacted by the power of words or want to impact with your words… this will be a helpful teaching series for you! See you Sunday at 10 a.m. OR you can catch up on the teachings online at our website – www.church180.tv. I stopped all work related activities. I completely disengaged from work and fully engaged in Nerf gun wars, Uno, sled races, reading books, taking naps, cuddling with my favorite people, and I even had the chance to slide down a snow covered hill on a saucer with Mrs. Peterson on my lap! This weekend we spent time making memories, nurturing friendships, and doing things that “normal” life doesn’t have space for. Many people think a “stop” is a waste of time. I used to think that. I don’t anymore. A large part of my change in thinking has to do with a book I read a couple of years ago and am now currently re-reading… The Power of Full Engagement. Oh man are they ever right! When I intentionally disengage I am more engaged than ever when I re-engage! If you’re a parent and you’ve had the chance to take a night away or a weekend away from your kids… you can’t wait to get back to them! It’s like the time away (i.e. the period of disengagement) has reinvigorated you! When you miss the gym for a few days… you CAN’T WAIT to get back! Smart lifters actually build down time into their training schedule. They call it “de-load week“. “Amazingly” distance from your spouse for a short period of time often serves to rekindle the passion in your romance! Studies consistently show that people most often get their best and most creative ideas in the shower, while driving, on the golf course, etc. in other words, our best ideas of come to us in places in which we are most disengaged! I really can’t wait to get back into the swing of life this week! I ready to re-engage because I have disengaged! Well, I’ve got to get going… the kids are waking up, but I hope that you can find a chance to disengage/stop soon so that you can re-engage later with increased passion and focus! So says Solomon, purportedly the wisest man to ever live and the author of 3,000+ proverbs (this one is found in the Bible book of Proverbs – 4:23). How does one “guard” it? How does this action determine your/my future. I spent some time in further reading and reflection and needed to write out some of what came to mind. Literally it is the organ that pumps blood throughout the body. If/when it stops working we stop living. Metaphorically it is the essence of who you are. If your heart is not working you are not breathing. No heart = no life. You get the point… the heart, in it’s metaphorical sense, is who you REALLY are. How does one “guard” the heart? As you read through the Scriptures you see the heart affected by anger, grief, depression, and disappointment. You also see hearts that overflow with joy, anticipation, love, and gratitude. The heart, the inner-self, is capable of many emotions… many times all in one day! You know as well as I do that some feelings can make you dangerous while others can make you desirable company. The question is, how do I guard my heart? Forgiveness reduces the chance of bitterness and anger. Smiling increases the chance of joy and likability. Gossip reduces the chance of genuine, healthy friendships. Encouragement increases the likelihood of meaningful interactions. Honesty, mercy, hard work, humility, self-control, etc. will take you to a desirable future. It really comes down to this… I guard or abandon my heart with the decisions I make every day. When I choose to post gossip, tweet anger, lie, lust, or refuse to share… I make the decision to become a gossip, angry man, liar, lustful jerk, selfish man. Likewise, when I choose to smile, work hard, think, and tell the truth… I make the decision to become a happy, prosperous, thoughtful, and honest man. In other words… I become on the outside what I decide to do on the inside! How does this action determine my future? An angry man today makes a reputation for himself… as an angry man. An honest man today makes a reputation for himself… as an honest man. See, what you do today shapes what you believe about yourself and what you believe about yourself becomes your reality! 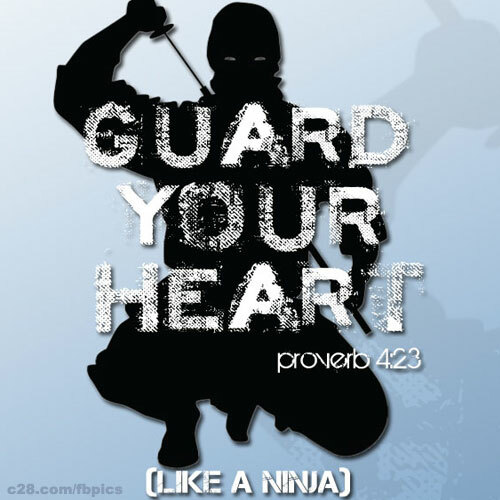 You are what your heart says you are, and that’s why it’s so important to guard your heart! I know that’s a pretty presumptive title for a blog post… but I happen to believe it’s true because of the source from which I get it AND the fact that when I’ve tried it, it’s worked! Never let loyalty and kindness leave you! When it comes to human relationships… the key words are loyalty and kindness! When it comes to your relationship with God… the key word is trust! These characteristics, when put into practice, have the power to develop and nurture healthy relationships with the people around you and the God above you! Make an analysis of your relationships, both human and divine. How are things? By the way, if you need some ideas about how to “do” loyalty and kindness I taught on this subject a while back in a series called “Climate Change.” You can hear that particular lesson here. Admittedly I’m not the greatest prayer you might know. Having said that, I do pray and have been praying for about 17 years. During that time I’ve stumbled onto some key lessons regarding this spiritual discipline. I shared them last Saturday with the “Band of Brothers” at Church180 and thought you might find them helpful too. I find that when I don’t care about what God has said… He doesn’t say much more. As a parent I totally understand that! When my kids don’t listen to what I tell them… I feel the need to repeat what I’ve already said until they get it! I’m not going to share new information until they start doing what I’ve already told them! In other words… trust the expert! Don’t come to him for advice then doubt what he says or choose not to do it like he says… do it! This third one is a biggie, and one that I didn’t fully understand until I had daughters. As a dad I know this… any boy that mistreats my girls will not only not receive my ear, but he may receive my foot! Men, the way we treat our wives directly impacts the effectiveness of our prayers! Essentially God is saying, Don’t talk mean to hear then talk nice to me… I’m not listening to you until you fix things up with her! So there are three attitudes that can block my prayers. #1 The Bible says it. A couple of months ago I wrote a post titled, “Why I have to read the Bible”, that goes into greater detail about this subject. You can read it here. #2 I can’t quit thinking about it. I find that often if a thought comes and goes… it’s my idea, BUT if a thought comes and lingers, almost haunts me… then it’s probably God! His ideas don’t seem to go away quickly. Of course this isn’t ALWAYS true. There are some things that regularly come to mind which would not make God happy if I carried them out. I always seek to confirm the “rightness” or “wrongness” of what I’m thinking about by checking out what the Bible says. For instance, carrying out a lustful desire = not good. Asking forgiveness for hurting my wife’s feelings = good. Pretty basic… but you get the point. #3 My mentors and my wife say it. I’ve found that when I listen to her, God often speaks to me through my wife! There are multiple Scriptures that teach us that there is wisdom found in the voices of wise counselors, friends, family, etc. Now the order is important here! Don’t get it mixed up! Sometimes we make that error and listen to people and thoughts first! Run them through the grid as you are determining whether or not it is God you are hearing! For years I’ve wrestled with HOW to pray! Before I went to college I was a high school dropout, pothead, and spiritually dead moron. When I made the decision to follow the leadership of Jesus and began nurturing my friendship with God prayer became an important part of my daily routine. At college I would literally pray 1-2 hours a day! No exaggeration! Keep in mind that I was at a Bible College, surrounded by all things spiritual and good so praying that much was not as difficult as it might sound. Then I got married, got a job, had one girl… then six, and my prayer life started looking different. Real different! For years I’ve compared my prayer life now to my prayer life then! BIG MISTAKE! Why? I’m not in the same situation today as I was back then… and I’m not the same person today I was back then! I’ve grown up, added responsibility, and matured in my relationship with God. Still though… I’ve made the mistake of comparing then to now… and often felt guilty about how “now” looks. That’s it! Pray every way you know how for everyone you know! That means sometimes I pray in the car for our president. Sometimes I pray in my office for you. Sometimes I pray in the gym for people I know. Sometimes I pray in bed for myself. Sometimes I pray while I walk around the church and other times I pray while I’m in the shower. It’s kind of like this… I talk to God… and listen to God and that happens in a variety of times and places! That’s what St. Paul said to Timothy… and it works! Certainly there are times when I need to just “get away” to quietly think about and talk to God, but prayer… prayer is something that can happen anywhere, for anything or anyone. So I want to challenge you men to carve out some time every day to talk to and listen to God! It’s as important as going to the gym, balancing your checkbook, going on a date with your wife, and changing the oil in your car! I suppose that’s a good way to end this conversation as well… I challenge you to take time to talk to and listen to God every day… I think you’ll be happy you did!